Been hit with a Penguin Penalty? Clean up those backlinks! 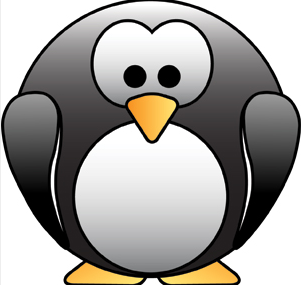 Has your site been hit with a penalty from Google as a result of the notorious Penguin Updates? If so, you have probably spent a lot of time analyzing your backlinks which can mean searching through literally thousands upon thousands of links to determine which ones could be negatively affecting your rankings. We have successfully completed several link cleanups, and thought we would put together a guide on how to tackle this beast. First, you will need to determine if you have been hot with a manual penalty or an algorithmic penalty. Algorithmic Penalty: This is an automatic penalty resulting in Google’s algorithms deeming your site has unnatural low quality backlinks. Next, you are going to need to compile a spreadsheet of all links that point to your site. Luckily there are several tools that can help with this. We like to start by downloading all links reported through Google Webmasters. Other great tools that we like to use are ahrefs, Open Site Explorer and Magestic SEO. Once we have all of our backlinks downloaded, we will cross reference the lists from these different tools and create a single comprehensive document. From this point, each link is carefully reviewed for its quality and linking anchor text. Quality: In assessing quality, the most important aspect to look at is the linking sites DA (domain authority). DA is a metric that measures the authority of a domain name and is based on domain age, size and popularity. Domain authority is important because it can determine how quickly new content gets indexed and will help the chance of high rankings in SERPS. We would consider a DA of >20 to be good reason to remove a backlink. Anchor Text: Should be concise and relevant to the information on the destination page and should contain slight variations to avoid any Penguin penalties. Once we have segregated all of the spammy links, we will group each link by unique root domain. You will want to pay close attention to domains that have a considerable number of links pointing back at your site. These domains most likely contain a global link, and global links on low quality sites are usually are a red flag to Google and can be cause for a penalty. Once all low quality links are identified, we will begin the reach out process. An email should be created detailing why you would like the link removed (recover from a Google penalty / avoid Google penalty) and should include the URLs of each page containing backlinks, the anchor text used, as well as the URL of your site. This stage will most likely require multiple follow ups, so expect to spend some time here. Always keep a detailed record of each reach out including the name and email of the person contacted, the date and the status. You will need to include this information when submitting any reconsideration request to Google’s Search Quality Team (if you received a manual penalty) so they can understand your efforts in cleaning up the negative backlinks. Next we need to disavow all links from our low quality links report through Google webmasters. Make sure to disavow all the low quality links, even ones that have been successfully removed. Removed links can still appear in Google’s index for quite some time. Once the reconsideration request has been submitted, your case will be reviewed by Google’s Search Quality Team which may take several weeks. Think good thoughts and check your webmasters account often for their follow up.